Predictive computation is rapidly becoming the new focus of computer science and technological development. 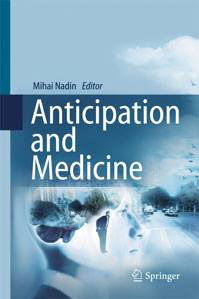 In some cases, it is characterized as “anticipatory computing.” In other cases, computation is expected to deliver predictive phenotyping, or new materials that will behave according to predefined expectations. Since dealing with the future is significant from the perspective of acknowledging and preparing for change, concepts pertinent to describing the future take on importance. There is a pragmatic necessity for establishing a common understanding of various aspects of prediction: forecasting, premonition, guessing, inference, foretelling, prolepsis, expectation, etc. Technology affords new possibilities, such as wearables and mobile computation. However, technology does not substitute for a sense of direction. There is no knowledge that can be expressed otherwise than in semiotic form; knowledge of semiotics is itself expressed semiotically. Semiotics defined around the notion of the sign bears the burden of unsettled questions prompted by the never-ending attempt to define signs. This indeterminate condition is characteristic of all epistemological constructs, whether in reference to specific knowledge domains or semiotics. The alternative is to associate the knowledge domain of semiotics with the meta-level, i.e., inquiry of what makes semiotics necessary. In a world of action-reaction, corresponding to a rather poor form of causality, semiotics is not necessary. Only in acknowledging the anticipatory condition of the living can grounding for semiotics be found. The future is made part of the present via semiotic processes. In the age of neurons, suggestive of brain activity and of attempts to emulate it, to distinguish between knowledge supporting human activity, embodied in new technologies, and knowledge essential to the unfolding of the living becomes very difficult. This perspective becomes critical in the context of a semiotized civilization in which the object level of human effort is progressively replaced by representations (and their associated interpretations). What cognitive processes or mechanisms engender and support the creativity of the human being? Can machines emulate such processes in order to help creative endeavors? These two encompassing questions have guided Mihai Nadin’s research and have taken him over many seemingly disparate paths. The answers he advanced have served as signposts for many of those preoccupied with similar subjects.